Useful for both venues and companies, this email template acts as confirmation to a booking negotiation. This is a sample contract which can be adapted for use when employing a freelance technician. Tips from house programme manager Mark Makin on what to consider when touring work internationally. 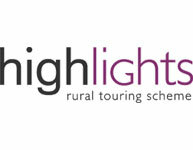 Highlights rural touring scheme, based across Cumbria, County Durham and Northumberland, have put together this list of practical considerations for companies touring rurally. Guidelines to producing and managing a tour - a simple checklist written by house's Mark Makin.